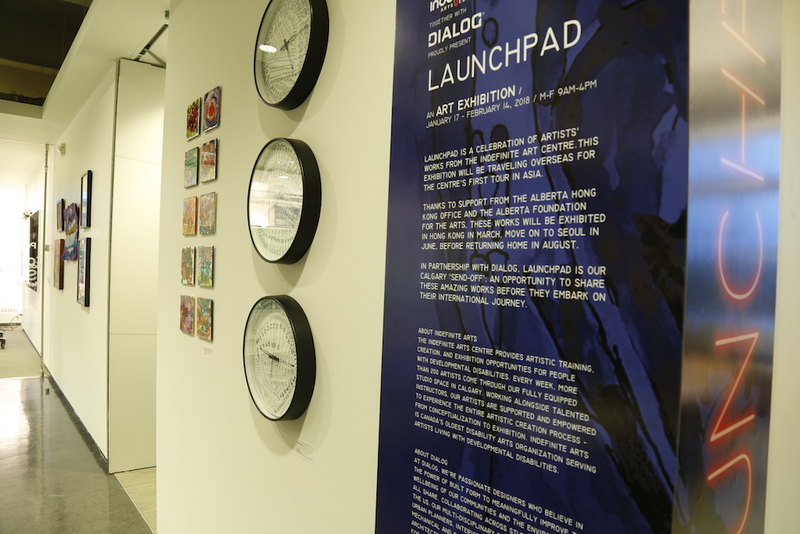 Calgary’s Indefinite Arts Centre is partnering with prominent design firm DIALOG to unveil Launchpad @ DIALOG, an exhibition featuring more than 20 works of Calgary-based artists living with developmental disabilities. Running until February 14, 2018, Launchpad provides an opportunity for Calgarians to see these works — for free — before the exhibition tours to Hong Kong in March 2018 and Seoul in June 2018. Opening night for Launchpad @ DIALOG. 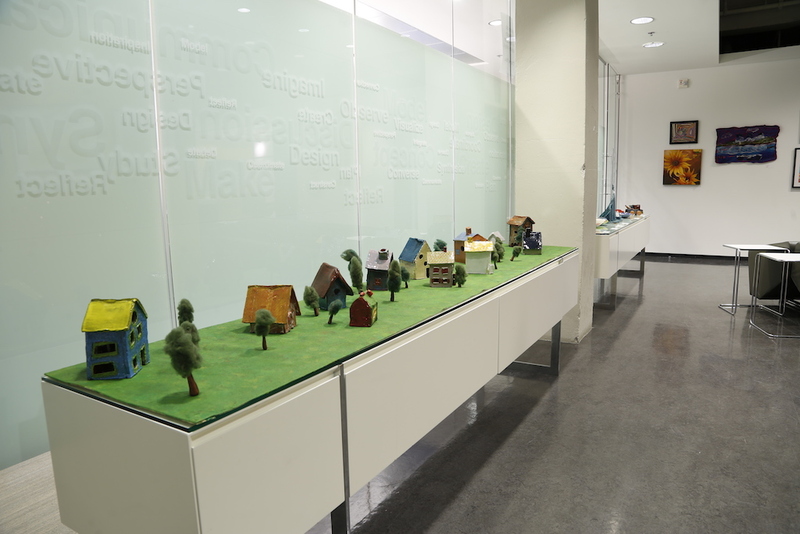 Colourful scale models are displayed throughout the space. The Indefinite Arts Centre provides artistic training, creation, and exhibition opportunities for people with developmental disabilities. 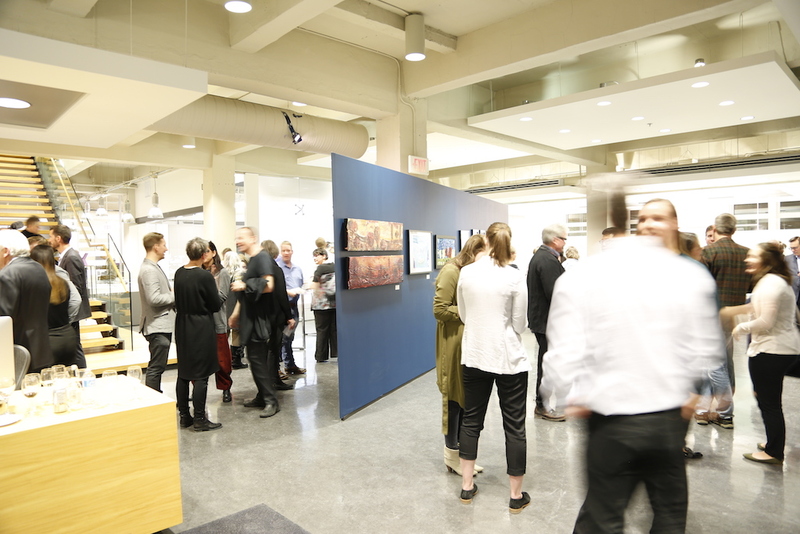 Every week, more than 200 artists come through the fully equipped studio space in Calgary. Working alongside talented instructors, artists are supported and empowered to experience the entire artistic creation process – from conceptualization to exhibition. Indefinite Arts is Canada’s oldest disability arts organization serving artists living with developmental disabilities. The gallery is open Mondays to Fridays from 9 AM to 4 PM. It is located at 300, 134 – 11 Avenue SE. The exhibition opened on January 18, and will run until February 14.